Biddle Megger 653031 Heavy-Duty Impulse Generator / Thumper. Up to 65KV proof / burn (100mA), 5,400 Joules intermittent Impulse Power. 120V / 60 Hz / 25A input. 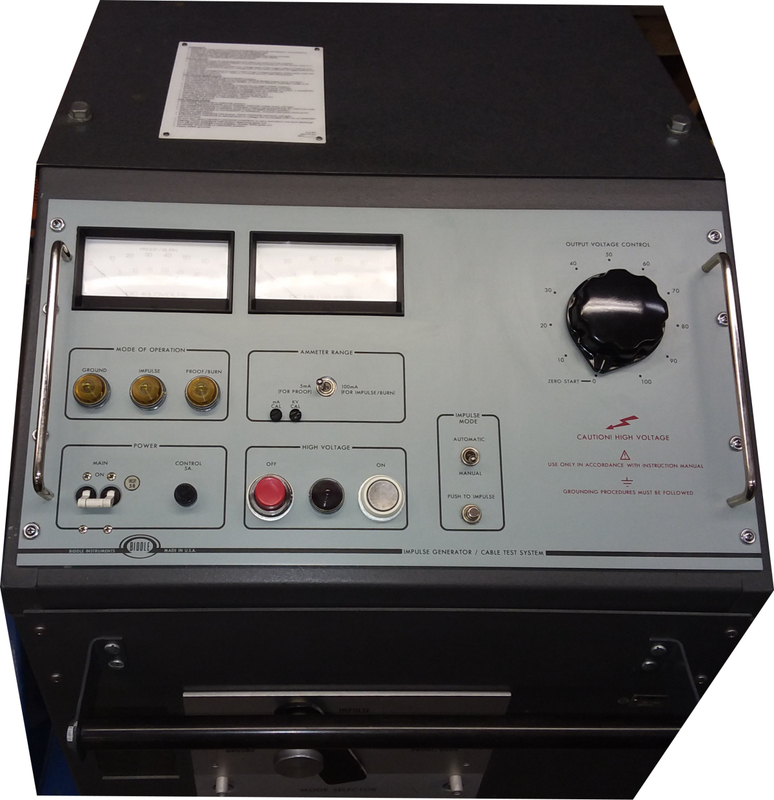 Impulse generators are designed to locate faults in power cable by the high voltage impulse method, in which a high-voltage impulse is transmitted down the cable to cause the fault to arc. The arcing fault is then pinpointed using an appropriate impulse detector. 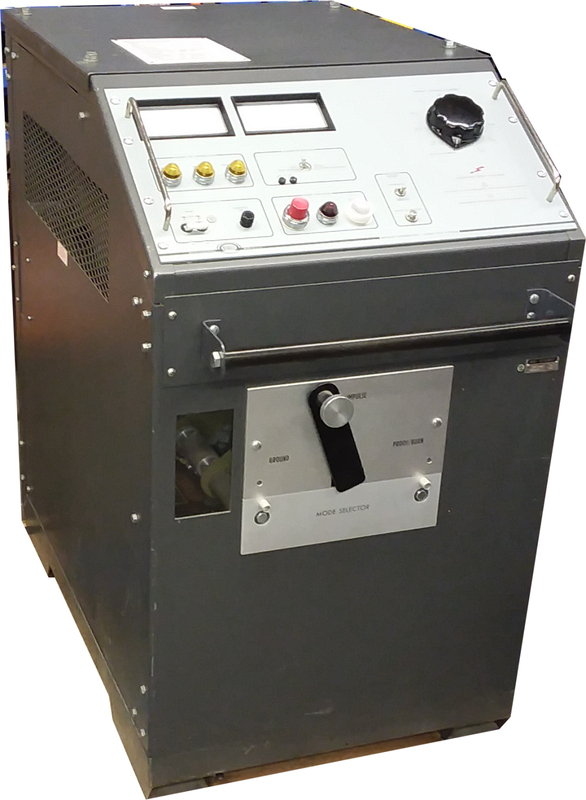 Megger impulse generators may also be used to perform voltage versus time acceptance tests, or to burn faults that fail to break down under impulse to reduce their resistance. Megger impulse generators pinpoint faults on primary distribution cable rated from 3.3 to 35 kV, including directed buried cable and cable in conduit or duct. For faults that do not break down in the impulse mode, a burn mode is provided to reduce the resistance so that those faults will break down under impulse voltage. In addition to fault locating, these units can be used as proof testers to check the quality of insulation before and after cable repair. 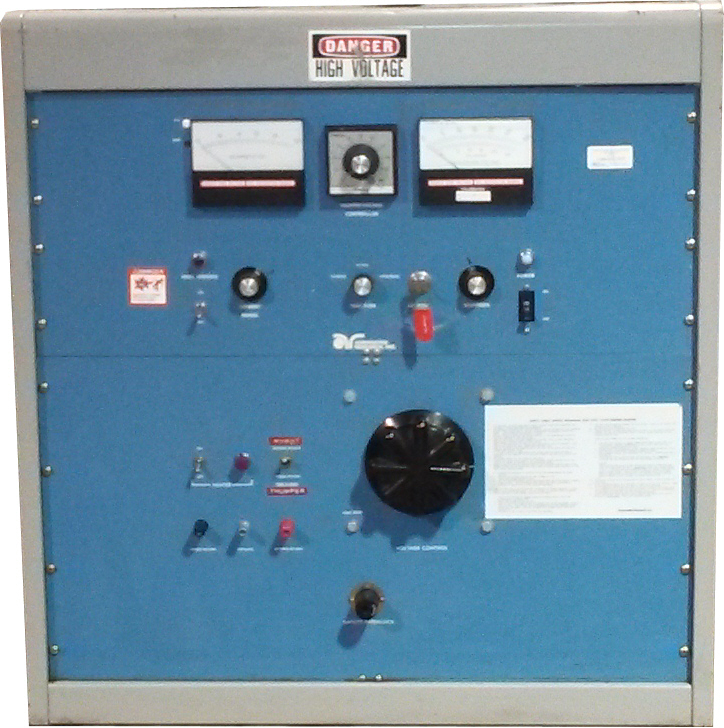 Impulse generators offer specific benefits that ensure efficient, effective and safe fault locating. Housed in sturdy metal cabinets using welded construction throughout to withstand the rigors of field operation. Impulse switches use tungsten ohmic contacts for extended life. Modular control panels with a minimum of controls and instrumentation reduce operation complexity. Single lever operation mode selector eliminates the need to disconnect and manually interchange high voltage output cables. High voltage and return leads are combined in one coaxial cable eliminating the need to unravel the total length of test cable during operation. Manual grounding of capacitor and cable by Mode Selector for safety.